It was only a year ago that Google implemented a new visual design that focused on providing users with a visual refresh and a convenient sidebar navigation tool. The June 2010 updates also introduced a time based search feature that enables users to search during a period of time such as the last 24 hours, the past year, or a custom range. During Google’s Spring Metamorphosis last year they had mentioned that they are always working on improving the design and experience of Google which has led to many of their latest changes. 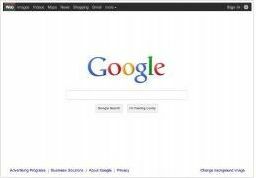 Users may have noticed that on Tuesday June 28, 2011 that some changes had taken place in an effort to evolve the design and Experience of Google. Not only did Google modify its search engine but that same day Google had also announced the Google+ Project. The clean, spacious, and simple design of Google+ coordinate with the new look of Google and are already carrying over to the other Google services like Gmail. The new Google home page has even gone through its own changes. Now with a smaller logo and the links moved to the top and bottom edges, the page has a cleaner and more intuitive feel. Additionally Google now has a universal toolbar that is located at the top of the page and is also consistent across each page and service. In their Google Blog, Google mentions that their new design was based on 3 principles focus, elasticity, and effortlessness. The new look however is only the first of many changes said to be coming in the following months. When it comes to increasing focus Google plans is to eliminate clutter, use bolder colors, make the buttons more identifiable, and a new “hide” feature that will let the user clear away any unnecessary distractions like navigation buttons. Behind the simplistic design, Google will continue to use the latest technology to provide users with a powerful experience. In addition Google will also be working hard to improve their flexibility across all devices. Their goal is to provide a solid visual experience on every device without losing any elegance and practicality. Google is always changing in order to enhance and improve the Google user experience. These are only a few of the many changes we can expect to see over the next couple of months, keep an eye out. This entry was posted on Friday, July 1st, 2011 at 10:43 am	and is filed under Google, Search Engines. You can follow any responses to this entry through the RSS 2.0 feed. You can leave a response, or trackback from your own site.